After discovering a mysterious device, Jane and Heather decide try their hand at documentary filmmaking... in another dimension! There’s something strange going on in Spectrum, South Dakota. Home to high school best friends Jane Langstaff and Heather Meadows, Spectrum is a boomtown that’s long since stopped booming, with nothing to show for its former glory but the abandoned Charleswood Estate, its dwindling sprocket millions, and the story of the disappeared industrialist who founded the place… But deep within Charleswood, unbeknownst to anyone, there is a device called the Eidolon, which can open up a doorway to an otherworldly dimension. And Heather and Jane are about to go knocking. 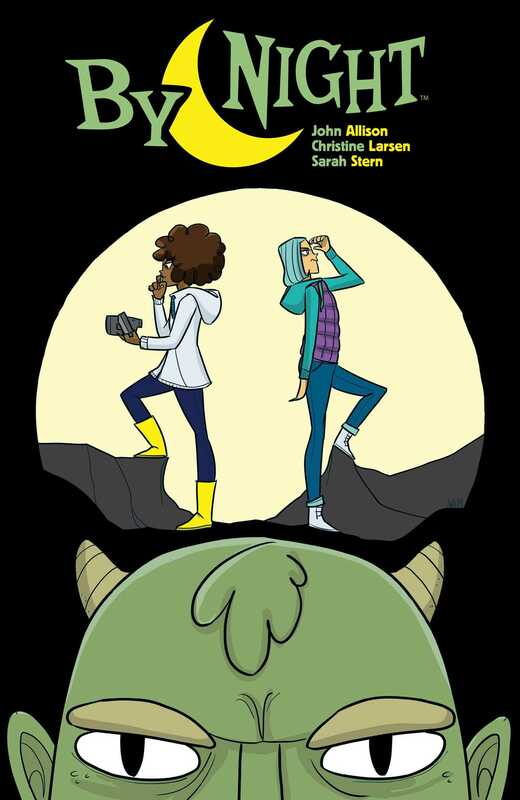 Eisner Award nominee John Allison (Giant Days, Scary Go Round), and artist Christine Larsen (Adventure Time) invite you beyond the Eidolon, to a world of bizarre creatures and fantastical, hilarious adventure.